Wasteland 2 was already a major success after picking up roughly $3 million in one of the original big Kickstarter campaigns. Head Developer at inExile Entertainment Brian Fargo also said that the company matched that figure two fold, putting the total budget at roughly $6 million. Making back that money is no easy task for an indie game studio. How did it fare in its first week on the market? Well, I don't think Fargo is going to be losing any sleep over wondering if this is going to be a success or not. 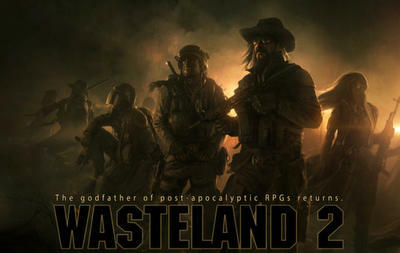 Wasteland 2 has earned an amazing $1.5 million in just its first four days of availability. This makes it one of the clearest signs that Kickstarter games can work and sell well after release. Broken Age and The Banner Saga also come to mind as big success stories. Earlier this year saw the successful launches of Larian Studio's Divinity: Original Sin, which managed to hit the $500,000 mark, and Shovel Knight crushed developer Yacht Club Games' expectations by selling 180,000 in the first month. Both companies are working out how to proceed after striking it big on their freshman outings. Luckily for inExile, it doesn't have to wander aimlessly or look too deep for that next game. Now that Wasteland 2 is out in the world and is both a critical and financial success, it can turn its focus to its other Kickstarter game, Torment: Tides of Numenera. It is the most successful game to emerge from Kickstarter at roughly $4.2 million, and no doubt inExile is going to have to chip in a few extra dollars as well. Think they can replicate this success again?